Santa Barbara Photo Journal. — deep hunger, deep gladness. Last summer, Jordan and I decided that we really wanted to take a trip for no reason. 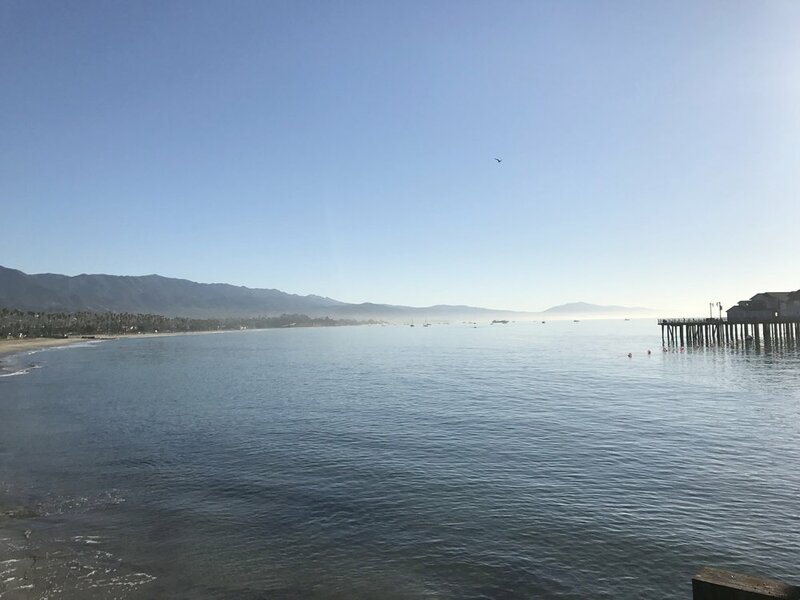 We started saving and ended up deciding on Santa Barbara, California in the off-season in hopes that we could have a warm respite from the North Carolina cold. The week we chose also happened to coincide with my birthday! It wasn't quite as warm as we'd expected (which is why you're going to see pictures of Jordan on multiple days in the only sweater he brought), but it was VERY fun. 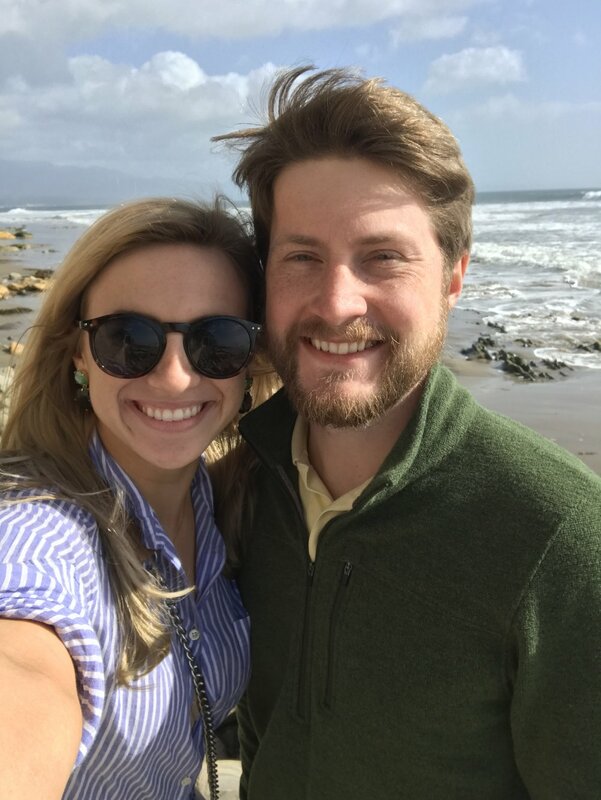 Every bit of this trip was as relaxing, hilarious, and romantic as I'd hoped it would be - it was like a second honeymoon! We haven't traveled just the two of us for non-work reasons since our trip to St. Lucia the day after we got married. It was really special to bond with my husband and fall in love all over again. Are you cheese'd out? I know. Sorry. I'm just feelin' love-y right now. Here's our trip in pictures! The view from our hotel balcony upon waking up Tuesday morning. Our first field trip was to The Mission, a still-functioning church founded in the 1700's. We spent the rest of the day be-bopping around to the Courthouse (featured in It's Complicated!) and the beach before grabbing a beer in the funk zone and having dinner at Los Agaves, the best Mexican restaurant ever. Jordan had somehow never been in a courtroom before. "Is this what they all look like?" he asked. Nope. Wednesday was my birthday! We started the day with a hike to Inspiration Point, and I'm so glad we did. 28 was off to a good start! Hopped down the mountain, had some great seafood for lunch at Brophy Brothers, then walked along the jetties (and got to see some sea lions! They reminded us so much of Tom Hanks!). Okay, so that last picture needs some explaining. When we got a beer before dinner on Tuesday night, Jordan met this man, Doug, at the bar. Apparently we'd been in several of the same places that day, and Doug asked Jordan what we were in town for. Jordan invited Doug to join us for a beer, which led to us hangin' with Doug for about an hour. Since we'd picked up the second round, Doug generously offered to drive us to dinner, saving us an Uber ride. The next day, while we were sea lion-spotting, we turned around on the jetty to find DOUG! It was the most hilarious coincidence, so I pulled a "mom" and made everyone pose for a picture. Pure joy on all our faces - so funny, right?? Doug!! He became a staple of our trip. For my birthday, my precious brother and his girlfriend, Emily, sent cupcakes to the hotel. HELLO, DELICIOUS. Jordan took me to a beautiful Italian restaurant that was only steps away from our hotel and that we'd heard raves about. It did not disappoint. Visit Toma if you can! All in all, easily one of the best birthdays I've ever had. I felt so special. Thanks to everyone who reached out to send birthday wishes - I was beaming all day! Thursday morning after breakfast, we rented bikes from our hotel and made out way the opposite direction, up the coastline to Shoreline Park, which is basically heaven. We stumbled upon a staircase down to the beach, so we locked our bikes and followed it down. Little did we know we'd be the only people for miles. After we grabbed lunch, we did a little wine tasting. Our favorite tasting room by far was Cebada, run by the charming Gina. We felt like we got a special treat because the winemaker, Sandy, appeared while we were there! For about an hour, it was just us, Gina, and Sandy. Incredibly cool and (of course, because I was with my nerdy husband who asked #allthequestions) informative. 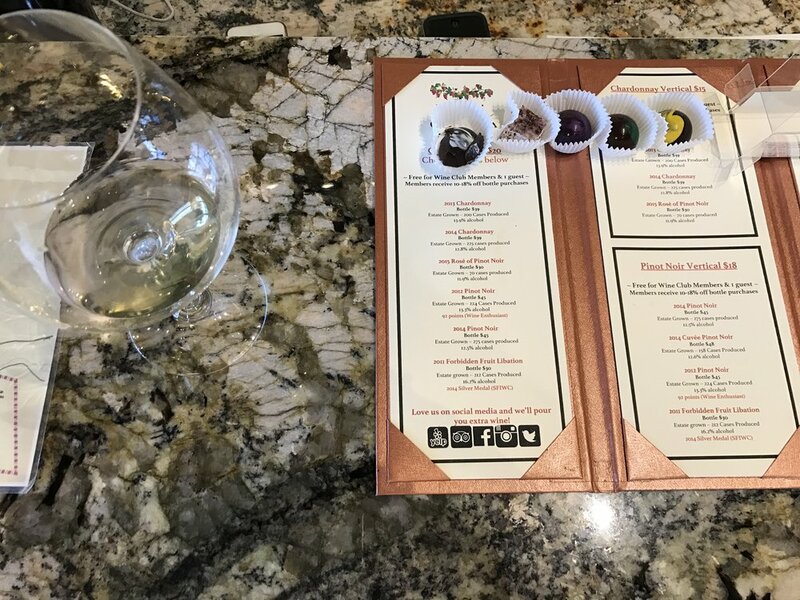 I did a tasting flight paired with truffles (duh!) and I was amazed at what a difference tasting wine along with chocolate made in both the flavors of the truffles AND the flavors of the wine. Really such a cool experience. The only picture I managed to take. We went to dinner at a tapas restaurant called Milk and Honey, which we think must have been having an off night because YIKES. And that's all I have to say about that. Friday, our last day, was a rainy one. But it was nice - it forced to us actually relax instead of feeling like we needed to fit everything in. 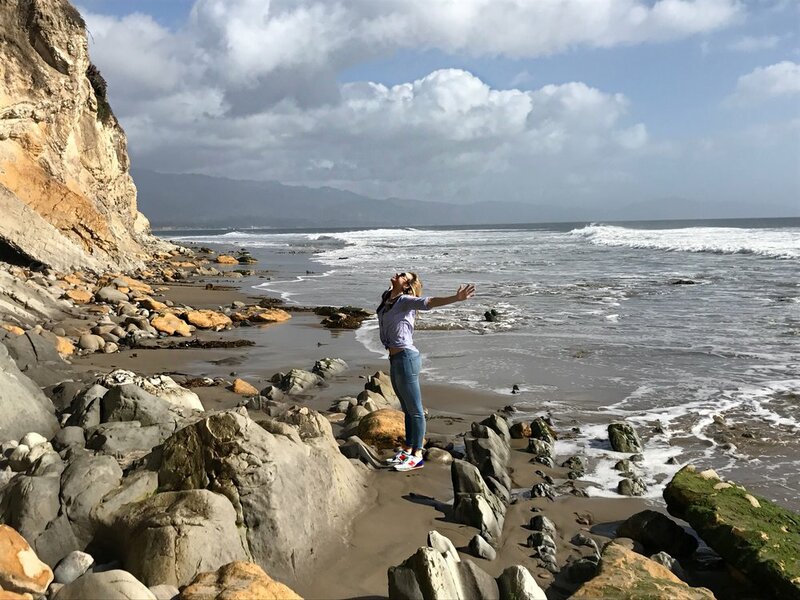 Santa Barbara has been in a drought for over six years, and y'all - everyone LOST THEIR MINDS with glee when it rained. Like there'd be a little dusting and you would've thought that doughnuts were pouring from the skies. People were so thrilled at even the smallest amount of rain - made me grateful that I live somewhere where droughts are rare. One more rainy beachwalk and we were almost at the end of our trip. We had SUCH a great time on this vacation. If you are considering a California visit, I can't recommend SB highly enough. It's a small enough down that it feels "do-able" in a week, and you aren't fighting the crowds or craziness of a place like LA. Next time, we'll definitely rent a car and visit the Santa Ynez valley for a wine tour. For now, it's good to be home!